I am sorry not to have much time to do a full research, but these few sastric references will make clear my concept. Of course I am fully aware of how many times the word “sraddha” is translated as “faith”, but it is the concept of what really means sraddha (translated as faith) that in my modest opinion is not fully understood. The confusion comes from the contamination of christian religion, who twistes the real meaning of faith. Before giving some few sastric quotes, I’d like to make a short analogy so you may better understand my thought. Let’s say we are talking about a country I have never been, never heard or read about. Let’s say Mongolia. See? “Know”. I don’t know anything about that, how can I have faith? If I would have immediately said “yes, I have faith that Mongolia is a beautiful country”, my answer would denote blind faith born of who knows what. Then let’s say you describe Mongolia to me. Other people also tell me about it, I see maps and photos on the Internet. Due to that my faith increases. If I want a definite proof, I may go there, but since it is a big country I can never be sure that all the country is beautiful. But, since I have heard and seen a lot, then I more and more develop faith that all the country may be beautiful. Abandoning the analogy and coming to Krishna, if we don’t know anything about Him, if we have never at least heard about Him, why in the world should I have faith in Him? Now I have faith in Krishna. Why do I? Because Srila Prabhupada told me about Him, because of the sastras, because of sadhus, because of my limited purification and experiences of transcendence. A part of Him I have understood and realized. The part I havent, I have faith. Why do I? Because I have undertood and realized a part of Him. When you met Srila Prabhupada, he talked to you about Krishna. He did not say “have faith in Krishna” without preaching to you. So faith is born of knowledge. Believing without having understood or experienced anything is sahajyaism, blind faith born of fanatism, foolishness and personal material interests. Here sraddha is translated as “liking”, not faith. How can you like Krishna if you don’t have some information about His qualities? Here is clearly explained that one has to hear in order to have faith. If you hear, immediately your heart is brought to Krishna, and if you continue to hear your faith increases. Why? Because of purification. Again, before hearing, what should you have faith in? See? Here Srila Prabhupada says “not faith”. Sraddha means respectful. “It is nice”, he says. You hear about Krishna, you know Him, so obviously you come to the conclusion that “He is nice”. This is the process. You want spiritual realization, then you approach a Guru, you learn and serve him and purification comes. It doesnt say “have faith in God”, and that’s it. To “have faith in God” doesn’t mean anything. This is christianism. Not Vaishnavism. sarvam etad rtam manye yan mam vadasi kesava. sarva-dharman parityajya mam ekam saranam vraja. You hear, then you accept. What in the world do you accept if you don’t hear? Here it is explained that one has to approach a spiritual master first, because of desire for spiritual realization. This is the main meaning of the word sraddha or faith. Desire for self realization, which is born of frustration in material life, or causeless mercy of the pure devotee and the Lord. Here Srila Prabhupada explains without possibility of letting in other interpetations his meaning of the word sraddha: inquisitiveness. One wants the Absolute Truth, so he approaches a Guru. This “wanting the absolute Truth” is called sraddha. I can offer you hundreds of quotes from sastras clearly explaining this concept. Faith born of knowledge and realization is sraddha. Faith born of sentimentalism is something else. I cannot but agree with what you say. My point is another one though. What causes or should cause faith? You say “faith in Krsna”. 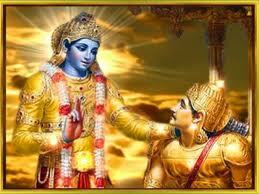 You and I have faith in Krishna because we have heard of Him. “Faith in Srimad Bhagavatam” because we have read it. “Faith in our founder-acarya” because we have known him. We have met him, we have heard and practiced his instructions. “Faith in established senior devotees” because we know them. Knowledge can change things, can also change faith. If I have faith in a known devotee, and then I come to know that he does something wrong, I stop having faith in him. So faith is always based on knowledge. This is what I meant in that paragraph of the Katha Upanishad. Knowledge gives rise to faith, knowldege can put it out. Apart from this, there is nothing more that I disagree on.